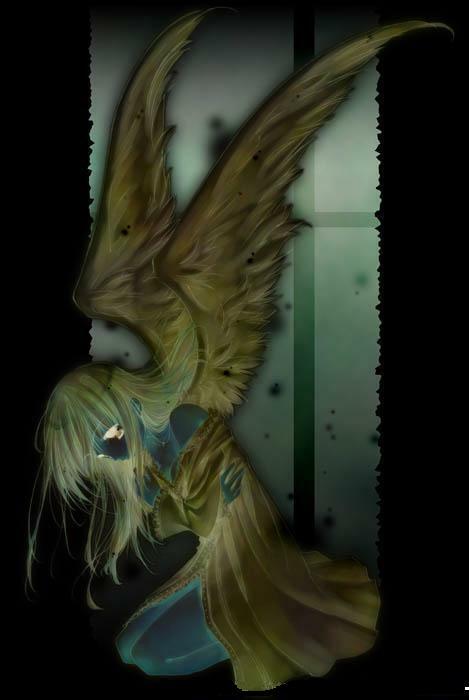 I really like that Fallen Angel its bad @$$ and the colors and how shes kneeled down its tight. so cool!the colors are awesome!I'm surprised there are so few comments. This is an amazing pic!!!!!!! Why haven't more people commented???? Are they all mad?!?!?! Anywho this is awesome! that's awesome! I love her hair and the wings^^ the way you coloured it looks really cool. did you invert the colours?